“I wish to address my support to you for your business venture. 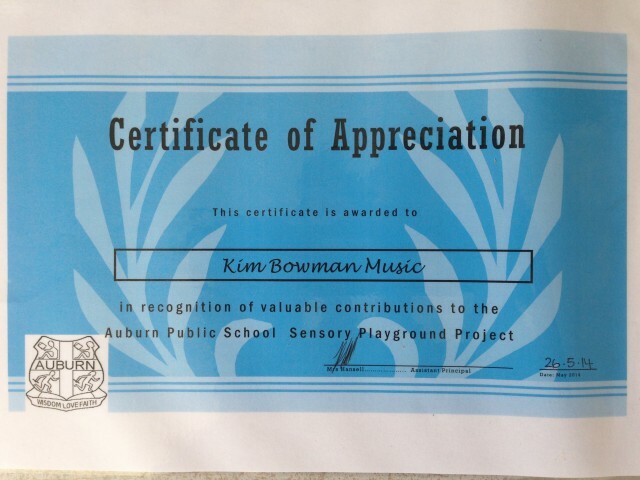 The field of musical play is an area that is currently not well provided for in Australia. The limited elements that are currently available tend to be after thoughts and not directionally intentioned with well-tuned sound and aesthetic form. In my role as a Landscape Architect, I design playgrounds within public reserves as well as play spaces within Council’s Child Care Centres. Musical play, provided at a renege of scales would be a greatly appreciated addition to each of these endeavours. It is an innovation which is recognised and supported as a valuable addition to play provision by the pedagogy practicing in the field of child care and children’s well being. An example of the potential use that I see for one of your musical sculptures, is the use of your stand alone musical sculptures within bushland reserves. These would fit perfectly within bush reserves, and could be used as musical crest poles along pathways. The beautiful designs would blend well with the natural environment and the sounds could harmonise with those already present within the environment.